Child’s Play Preschool is an early childhood program of Education and Community Services, a division of Cave Creek Unified School District. Our program is located at 4 locations within the Cave Creek School District. The staff of Child’s Play Preschool Center and Cave Creek Unified School District work together to form a complimentary curriculum for children ages 3 to 5 years old. Our primary purpose is to provide a quality early childhood setting that meets the needs of young children and their families. At Child’s Play we provide a positive, nurturing atmosphere. 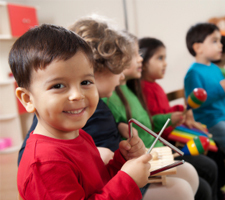 Our professional staff has varying levels of early childhood education and experience. We offer the unique experience of child-parent-teacher partnerships. We encourage all of our families to come learn about our program and curriculum. Parents are a valued part of our program. Together we hope to meet each child’s individual learning styles and abilities and prepare them for future schooling. 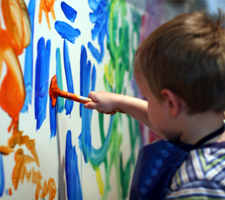 Young children learn primarily by “doing” by becoming involved in the activities that are provided for them. Child’s Play Curriculum is aligned with the Arizona Department of Education Early Learning Standards. Our curriculum focuses on the whole child with an emphasis on learning as a process of interaction with other children, adults, and materials within an environment of play. Children will be involved in a variety of project based activities, guided investigations and materials which are concrete and relevant to the lives of young children, and emphasize the process, not the product. 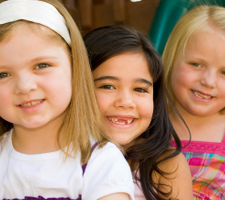 Each location offers unique focuses that help children grow and learn in a safe environment. I received my Master's Degree in Early Childhood and Educational Leadership in Administration. I have worked with children for over 30 years and am very excited that your family has chosen our high quality programs. One of my goals is to encourage children to develop empathy for all things and understand how they fit into the world. Please do not hesitate to call upon me for any questions, comments or concerns you may have. Lets work together to make sure your children have a successful experience in our programs.